Sudhir is the CEO of Bookmyshow, a successful online ticket booking for Indonesia. It has had 100,000 ticket sales this year alone. 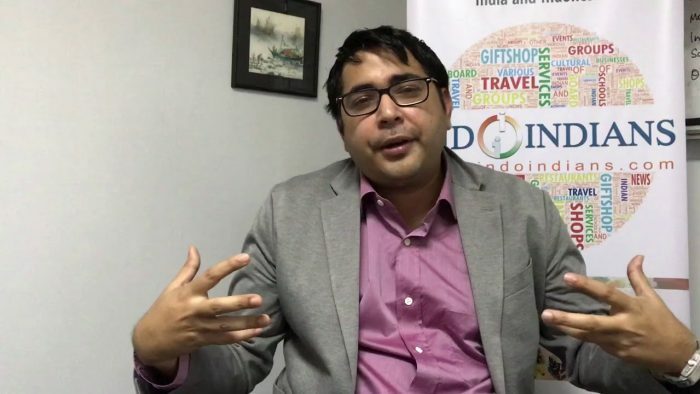 It all started when he met his co-founder Karan Khetan at INSEAD business school in 2013. They noticed that Indonesia had a great demand for entertainment and there was a big digital wave in the country, and yet it was quite hard to buy either a cinema or event ticket online. So they decided to make entertainment more entertaining and easier to access by bringing the Indian BookMyShow booking portal to Indonesia. “When we first came in to the market, it took some time to understand the legal framework. Secondly, Indonesia is built on relationships and trust so it takes time to build those relationships and trust. We were successful in doing that with cinemas and events, but it took a long time. We were lucky to have a very good and stable team, this has helped us expand and grow BookMyShow,” he explained. The first thing that startup founders have to do is embrace Indonesia. Give yourself 5 years to stay in Indonesia and establish your presence. There will be a lot of relationships, trust and faith to be built. Sudhir called this a ‘karma surplus’. Although this is applicable to all fields, it was especially helpful when he started to build BookMyShow. Look for a market which is big and get their legal framework right. This is one of the things that takes a long time but it will be worth it in the end. BookMyShow itself took 8 months for its legal framework to be formed. Some may think that human capital in Indonesia is a challenge. The key is to have a good team. To have that, startup founders must be ready to embrace Indonesians, build rapport and work with the people here. Change yourself to build the human capital and make them work for your. Sudhir Syal holds a MBA from INSEAD, world’s leading business school and engineering degree from Anna University in Chennai. Prior to INSEAD, Sudhir founded and built Starting Up India’s largest and most watched startup television program. He leads the business development and marketing of BookMyShow and serves as the CEO.